The Mdzananda Animal Clinic in Khayelitsha has launched its first ever #BeMyValentine campaign. The campaign aims to introduce homeless pets that are up for adoption to members of the public and hopes to encourage people to sponsor them. "Valentine’s Day has become an extremely commercialised event, with people spending large amounts of money on gifts, chocolates and flowers," says Marcelle du Plessis, Fundraising and Communications Manager. "That is why this year, we are encouraging people to allow a homeless pet to be their valentine by sponsoring them and showing them some love," du Plessis adds. According to the Mdzananda Animal Clinic, individuals can head over to Mdzananda’s website or Facebook page to meet their tail wagging bachelors and bachelorettes. 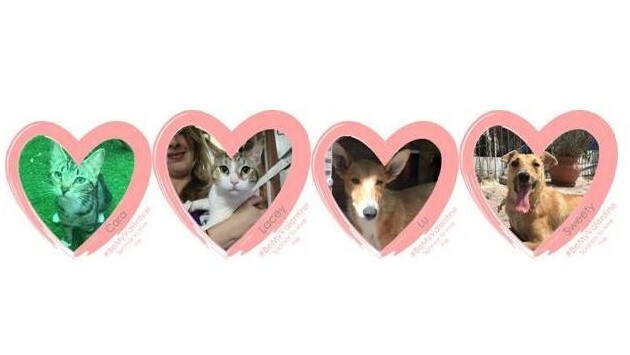 A variety of dogs and cats are up for adoption and looking for sponsors to love. Donations made to an individual's chosen Valentine dog or cat will help the clinic to look after them until they are able to find permanent homes. Members of the public are encouraged to visit Mdzananda this February to meet the dogs and cats, walk them, brush them and give them some extra love this month. For more information, contact [email protected] or visit www.mdzananda.co.za. You can also follow the Mdzananda Animal Clinic on Facebook.